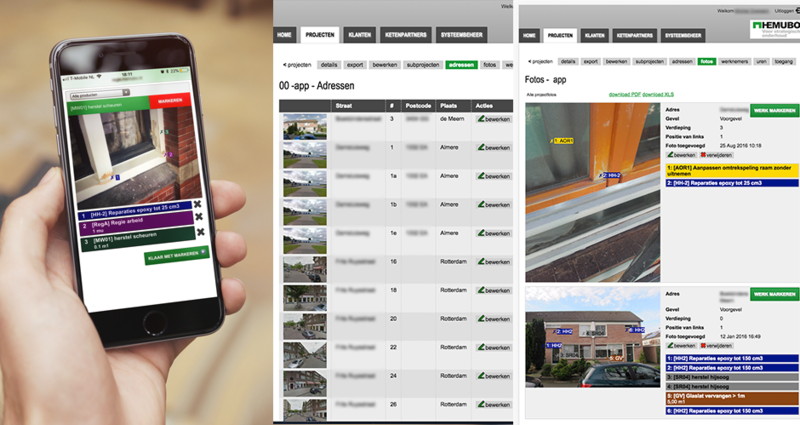 Connecting Media has developed a mobile web application, in collaboration with Berg & Bouw, for construction company HEMUBO for the assessment of mainly wood-rot repairs to window frames. With the application, it's possible to take photos on tablets and mobile devices in a simple and user-friendly manner and to provide markers that indicate the necessary repairs. This makes it easy to make an inventory of these repairs, to map out the costs and later as evidence.